View More In Legal Forms & Kits. Get in total compliance. 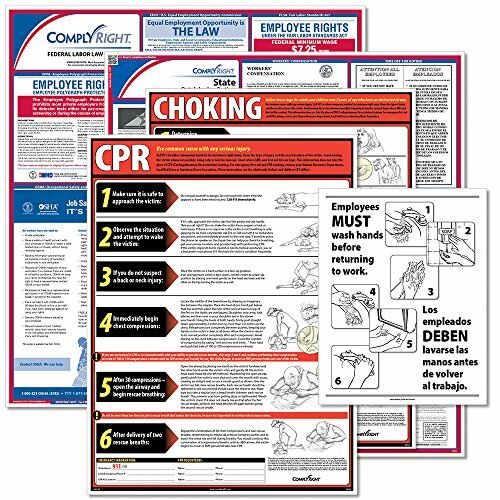 This laminated poster set includes all mandatory state and federal notices -- as well as required postings specific to the restaurant industry. This kit helps your business meet state, federal and industry-specific compliance standards. All postings are attorney reviewed to ensure compliance. If you have any questions about this product by ComplyRight, contact us by completing and submitting the form below. If you are looking for a specif part number, please include it with your message.